As I am in the process of finishing a Maus 2 (Ed.Note i.e. 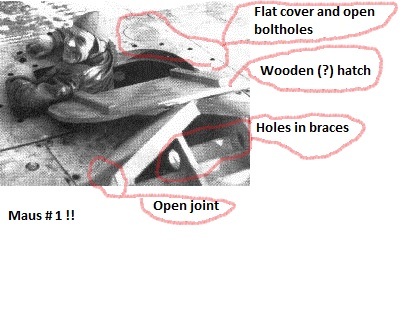 vehicle 2) as it was, just before it was blown up, I have been studying resources. I unearthed some details not known by many and often also not seen, or wrong on models. 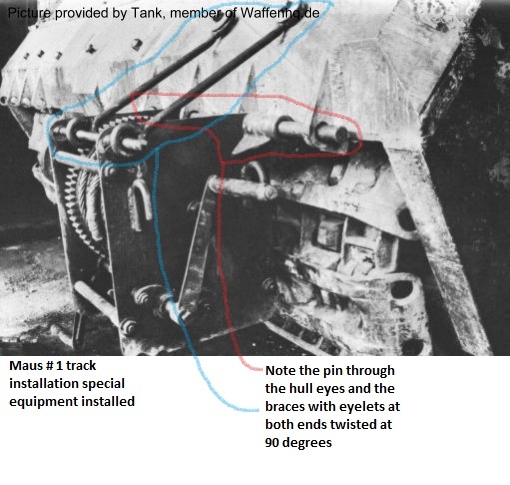 Even Panzertracts has some details not correct as they based themselves on the original drawings as a primary source. 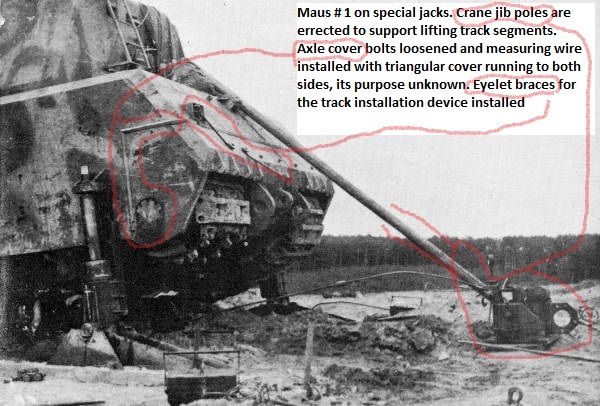 Yet it is clear that both Maus test vehicles underwent many trials and experiments. 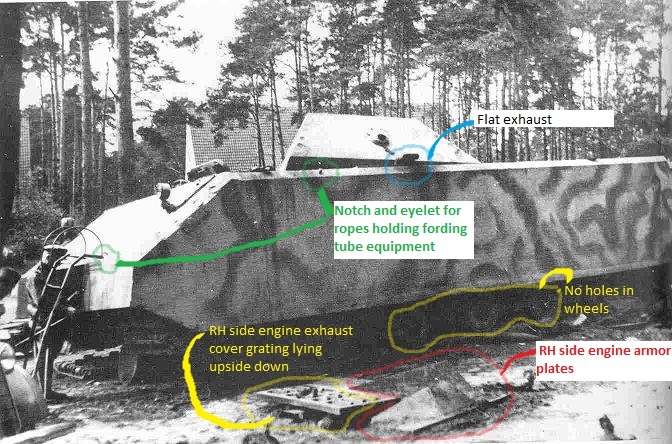 They were partly built up further on the testing grounds and not all detail changes were documented in the drawings. 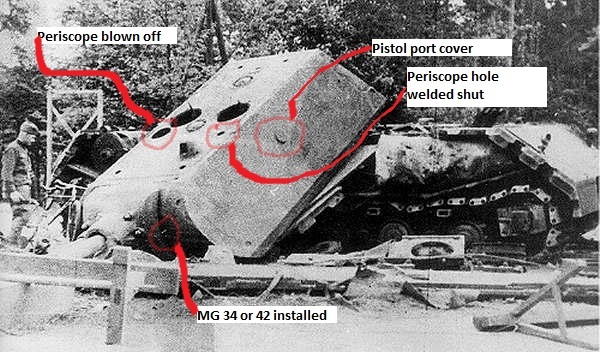 Matters are even more complicated by the fact that the Kubinka Maus consists of the Maus # 1 hull and the Maus # 2 turret. 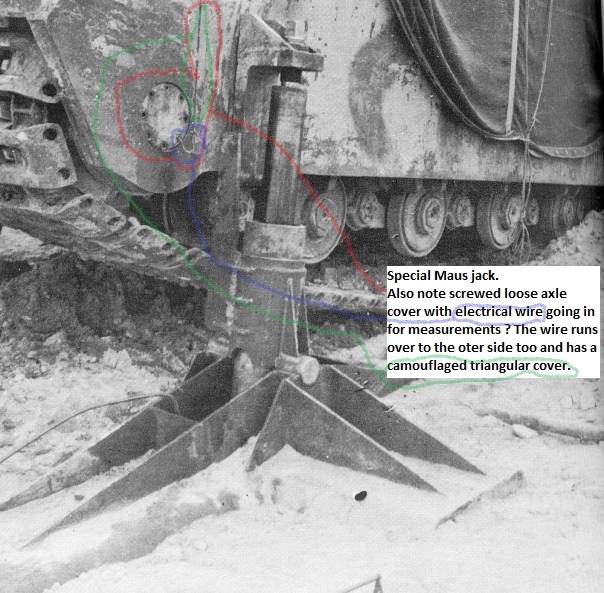 I have some proof that the vehicle was further completed by putting on debris from BOTH Mäuse !! Later on, some of these parts were removed or placed somewhere else on the vehicle. Modellers should be aware of the many, quite visible differences between the two. 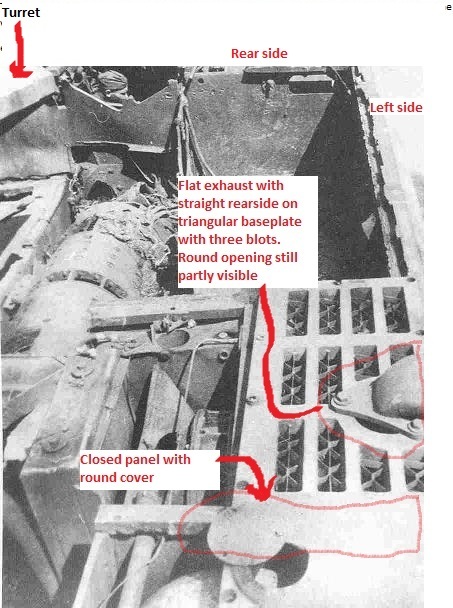 Even Panzer 1946 builders must be careful as details are known of all first 6 or 7 Mäuse as components like hulls, turrets and gun mantlets were found and details are known (see part 2 of this article). Comments and amendments are most welcome and pictures of the engine decks are needed to complete the history, so if anyone has them, even from the Kubinka one, please, please ! !